This is your “Go to Guide” for RV water pump troubleshooting. In this post, we’ll discover how to prime an RV water pump, how to repair your water pump, and discuss what causes an RV water pump leak. (Plus a whole lot more.) Of course, if you can’t repair your existing pump, it may be time to get a new one. 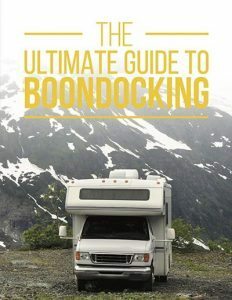 Welcome to the world of RVing. Whether you’ve just started or you have been traveling for a million years, RV repairs are never enjoyable. This RV Water Pump troubleshooting guide will attempt to answer basic questions that are asked again and again. 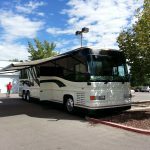 At some point in your RV journey you will probably need to address some of these issues. 1. Why does my RV water pump sound like it’s working but no water is actually flowing to any of the faucets in the trailer? Ah. That sinking feeling when you realize something is wrong. Ok, step back and take a deep breath. Let’s explore this issue one step at a time. B. Since you know your tanks are full, the next step is to check all the water lines which lead in and out of the actual water pump. Look for loose connections and worn, split or cracked lines. You want to start with the water line to the fresh water tank. Once that is done, check all the lines leading out of the holding tank and up into your rig. C. Now you need to decide if there is water flowing to the pump . Carefully loosen the water line to the pump. If you disconnect it and discover water in the line you know water is traveling toward the pump. Good news. Reconnect the line. If the water line seems dry then the issue is the actual water line coming to the pump from the tank. Check to see if there is any type of blockage or tube damage. Now re-establish suction by refilling the water line with water. Connect it again with the pump and turn the pump back on to see if the water begins to move toward the faucets. This could take a couple minutes to be sure the faucets are fully open and have someone watch for the outpour. Anything? D. If there is still no water, then it’s time to break down and actually examine the pump. It’s possible that something in the motor of the pump needs to be replaced or it’s time for a whole new unit. Here’s what to do. Grab a friend and ask them to turn the water pump off and on when you need it. (at the switch) Disconnect the water line from the pressure side of the pump. Turn the pump on and see if the water is pumping out (have it push the water into a bucket.) Is it coming out quickly with pressure or does it drip, drip. drip? If only the water trickles out, then you need to get a new water pump. If the water coming out seems to be pressurized then the issue is between the RV water pump and the actual RV faucets. Shut off all the water valves and start checking the water lines to all the faucets. You may be able to replace some things. Make sure the valves are tight. If you feel frustrated, don’t worry. You can always hire a professional to check the lines for you. Now that you have determined the problem you are bound to save a lot of money at the RV repair shop. 2. I winterized the RV water pump last fall. Now it’s spring and I can’t get the thing to work. What did I do wrong? Did you leave the drain open when you meant to be filling up the fresh water tank? 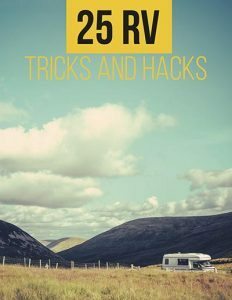 Did you re-connect EVERTHING correctly after you pumped RV antifreeze through the water lines? Is your pump silent? If so, have you checked to make sure there is electricity? Did you check the fuse panel? If you have checked all of these issues and you checked the areas mentioned in question 1, then you may need to fully replace the RV water pump. 3. What are the steps to replacing my RV water pump? If only it was that simple! The truth is most RV’s have very little space in their undercarriage, so replacing ANYTHING can be a pain. Take a good hard look and decide whether you have the time, patience and tools to do the job right. If not, take it to an RV repair shop. It’s worth the money to have it done right the first time. Step #1 You can’t have any water in your fresh water tank if you plan to change your pump. Drain the tank first. Step #2 Make sure ALL of the power is off and you are not connected in any way, shape or form to the electrical connections. Step #4 Unscrew or Unbolt the water pump from the RV. If your water pump met an early demise, it may be due to long term storage. Long term storage can increase the chance that your water pump will poop out early. 4. Why is my RV water pump so noisy? I can hear the pipes rattle and it makes me nervous. Is there some form of RV water pump troubleshooting? Is the noise driving you batty? It could be the design or the installation. RV companies are often in a hurry to put all the parts in the right place. In some cases this results in RV water pumps that are loose and cause vibrations that sound like banging on a pipe with a hammer. Here’s an RV water pump troubleshooting, noise fixing remedy. Step #1: Locate the water pump and turn it off. It may be under the bed, under the sink or under the rig. Step #2 Turn off the pump. Step #3 Remove the pump by unscrewing it and put a piece of felt or rubber padding under the pump. Now screw the water pump back on. TADAH! No noise from constant travel vibrations. Step #4 Wrap all of the water pipes with foam pipe insulation and duck tape. Make sure the insulation is at least a half inch. Secure it on each end. This should stop the clanging sounds. Step #5 Pumps that turn on and off in rapid succession creates unwanted noise and additional vibrations. The easiest fix is to adjust the water pump. Check your manual and adjust the flow to low. If you are still having trouble it may be time to install an accumulator. Talk to a professional and be sure to tell them which RV water pump your rig currently has installed. 5. After keeping my RV in storage, I realized I need to prime the pump. Can you tell me how to prime an RV water pump? Step #1 Fill up your fresh water tank. Step #2 Turn on the cold water in your RV and make sure the faucets are completely open. Step #3 Switch on the water pump near your RV water tank. Step #4 This should prime the pump by pushing water up from the tank through your faucet. Let the water flow a while, then turn the faucets off. Each and every faucet needs to be purged of air so you may want to open and close and run water to the faucets one at a time. 6. How can I repair a leaking RV water pump? Step #1 With the water off, take of the current check valve. It will usually be on a tube or hose that connects the water pump to the fresh water tank. Step #2 Place a new check valve on the line. Make sure the arrow on the valve is pointing right at the fresh water tank. Step #3 Connect the other end of the valve to the RV water pump and make sure it’s a good fit. Now check your RV water pump again! If that’s not it, inspect all of the water lines in the unit. Look for cracks, splits or rot. If the lines are damaged they will de-pressurize the water pump and encourage it to run. You can repair a damaged water line. Google for more information on water line replacement. As with any RV repair, RV water pump troubleshooting is up to you. This article is intended only as a guide and a suggestion. Talk to a professional before making any adjustments to your rig. You are responsible if something goes wrong while repairing your RV water pump system. Be aware that things can go wrong. There can be a risk of fire. Plumbing and electrical can be an issue. Whenever you work with water, it is possible to flood something. Another words, YOU make the ultimate decision on any repair. If you are not comfortable doing the work yourself, talk with a certified RV repair technician and make an appointment for them to do the work. Repairs on your RV water pump system are made at your own risk.